There have been significant advances in recent years in the understanding of bolted-joint behaviour. Past ASME Pressure Vessel and Piping Conferences have seen numerous research papers focused on the topic. Of most interest has been the behaviour of a bolted joint under the action of external loadings, in particular bending. FEC has been contributing to this understanding for many years and had developed a simple empirical method to complement the basic methodology used in many pressure vessel Codes for design of flanges (Design of Flanges for External Longitudinal Bending Moments, R.H. Frith, ESOPE Conference, 2004). 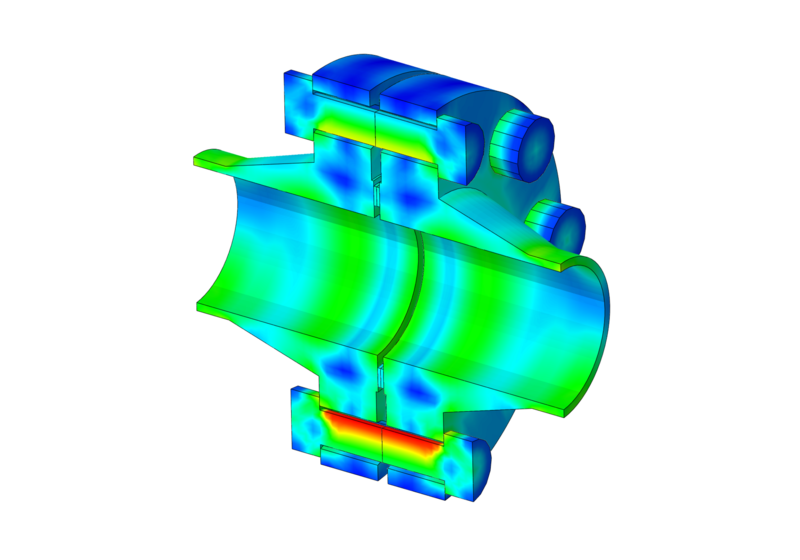 Since that time, the power of finite element analysis (FEA) software has advanced to the point of eliminating the need for the simplified analytical approaches and allow for inclusion of the non-linear gasket behaviour. FEC have recently reviewed a piping system that had a history of leaking. A simplified analysis indicated that bending moments in the line were excessive for the current Class 300 ASME B16.5 flanges. Following a comprehensive literature review and consultation with gasket suppliers, the recommendation was made to increase the flanges to Class 900. Due to the uncertainty associated with the simplified analysis, and the high risk of a potential leak, the client required certainty in the solution requested an advanced analysis to be convinced that the Class 900 would result in adequate performance. FEC made use of the advanced features of our Finite Element Software and modelled the non-linear loading and unloading curves for the gasket behaviour taken from literature. Post processing of the finite element results to European Standard DIN EN 1591 – 2010 enabled calculation of the leakage rates for the joint under pressure, temperature and external loads. The Class 900 ASME B16.5 flange would limit leakage to less than 1.2g/year.